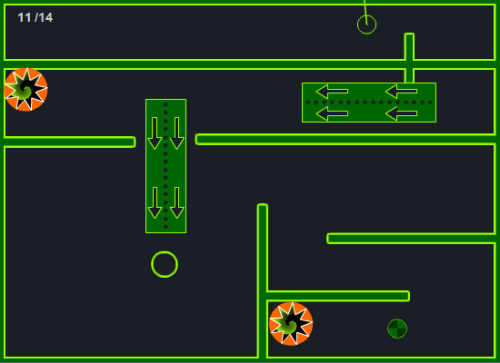 Description Navigate the ring trough the 14 levels by pushing the green into the warp holes. Use the arrow keys to move the Kuball and Spacebar to freeze the Kuball and ring in place. Don't touch the walls of the levels. Make sure the teleporters are empty before moving through them. Try not to teleport inside yourself.